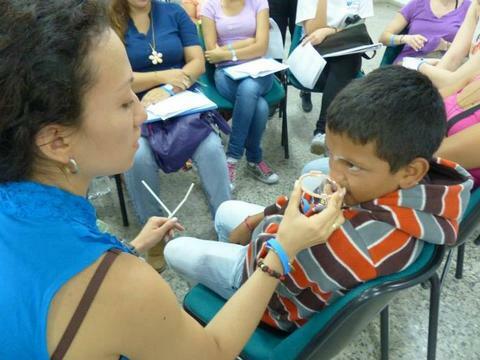 Cate Crowley took a group of students and professionals to provide therapy and professional development with the Healing the Children cleft palate surgical mission in Neiva, Colombia. The Healing the Children mission differs from traditional cleft palate missions because the team returns every year to provide ongoing surgery, treatment and therapy to the same patients each year. During this last mission, 166 hours of therapy were provided in group and individual sessions to patients working with Healing the Children. This year Cate developed an idea to create books in Spanish that would help children with repaired cleft palates to improve their speech. Cate oversaw development and supported the books that were written by Angela Giraldo and illustrated by Tina Yeung. 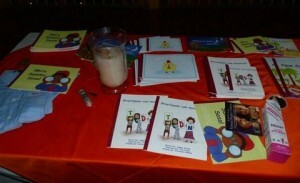 These books, in Spanish, focus on specific high pressure sounds that are at the same place of articulation. 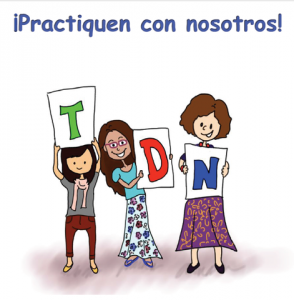 For example some books focus on t, d and n while others focus on p, b and m. These books were given to all the surgeons and fonoaudiologists (speech therapists) working with patients from the Healing the Children mission. In addition, small format versions of the books were given to all the patients so that they would have fun and interesting materials that they could use to practice their sounds. Click for details: Este libro forma parte de una serie de libros hechos para niños con el paladar hendido reparado. 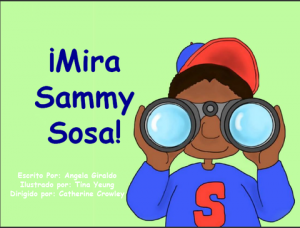 This book is part of a series of books written for children with repaired cleft palate. 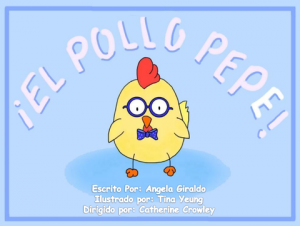 Este libro forma parte de una serie de libros hechos para niños con el paladar hendido reparado. 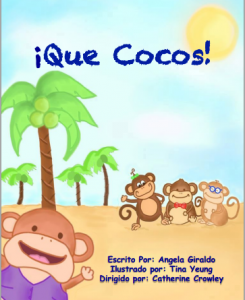 This book is part of a series of Spanish language books written for children with repaired cleft palate. 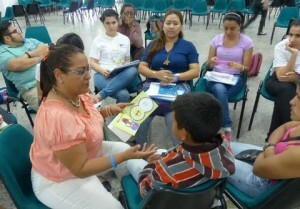 A therapist is working with a boy using a mirror. This allows him to self-monitor where the air is escaping from when practicing sounds during therapy and at home.